He’s blue, he’s a good guy and he’s a wimp. 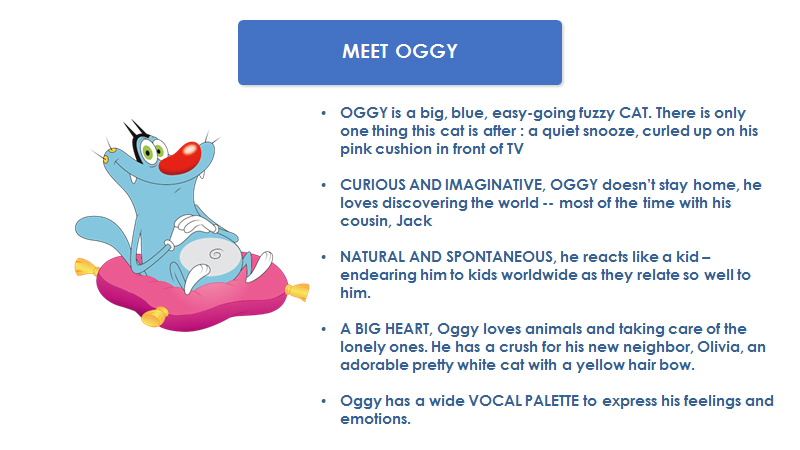 Meet OGGY, the only cat to which the word “feline” can’t apply. He would be the happiest of cats if three cockroaches hadn’t decided to settle inside his comfortable home: JOEY, DEEDEE and MARKY. 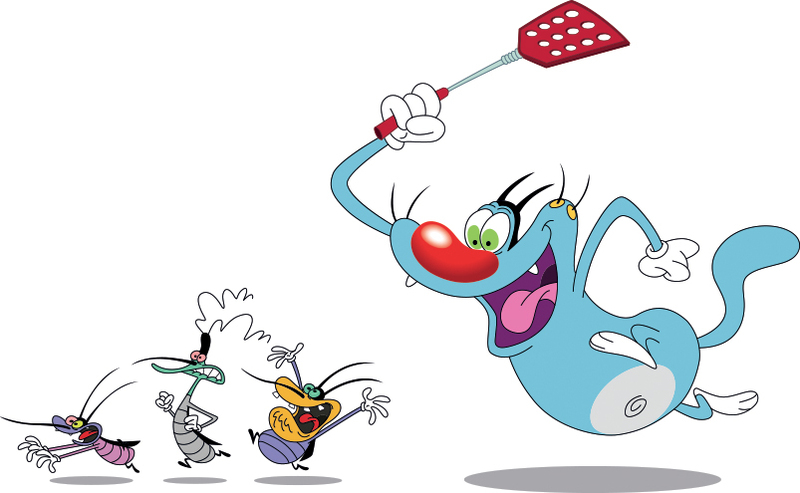 They are ugly, stupid, and of course, they’re the bad guys. 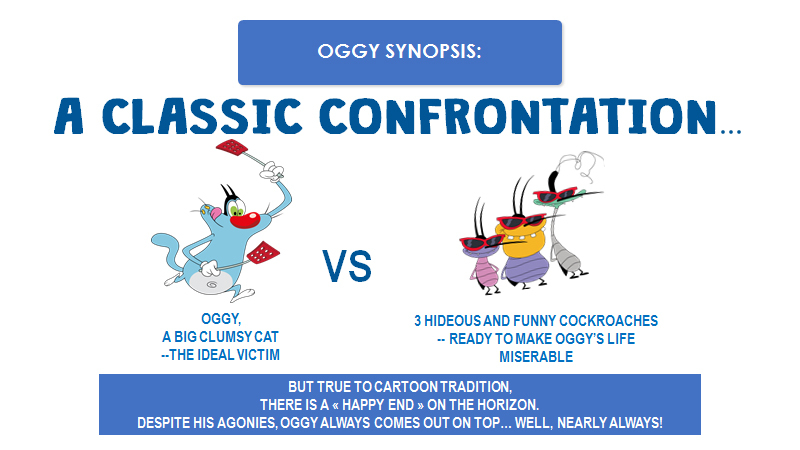 They were born to drive OGGY crazy! It’s fast, it’s crazy and it is hilarious… it’s OGGY AND THE COCKROACHES! 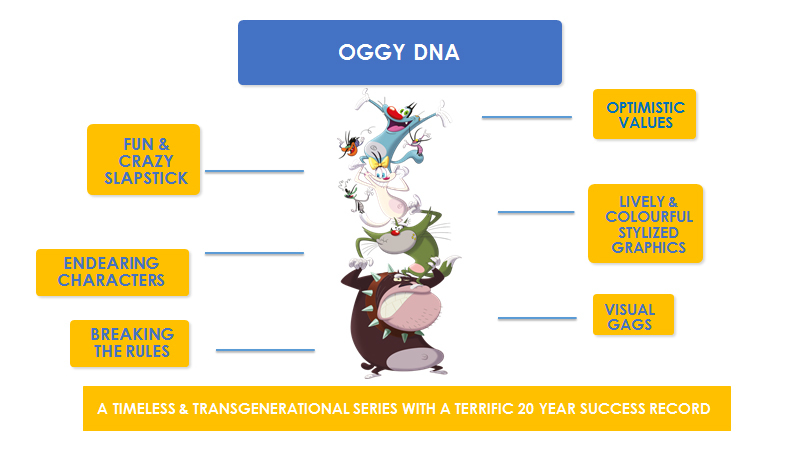 WATCH SOCIAL MEDIA CELEBRATE OGGY'S 20th BIRTHDAY!! 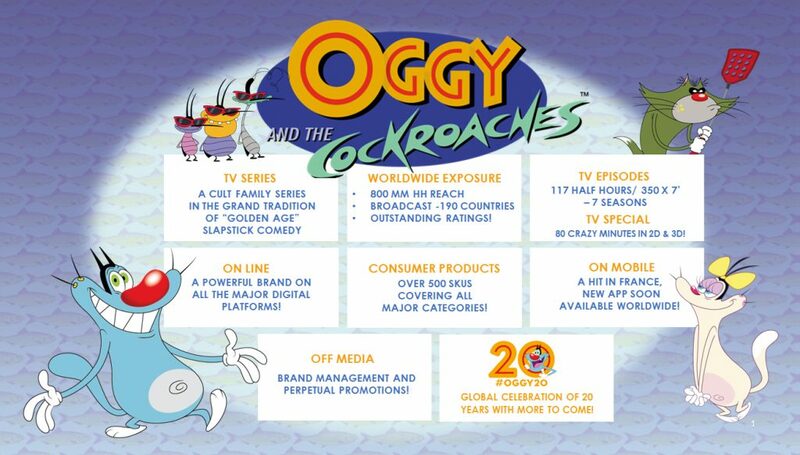 Oggy and the Cockroaches Licensee? 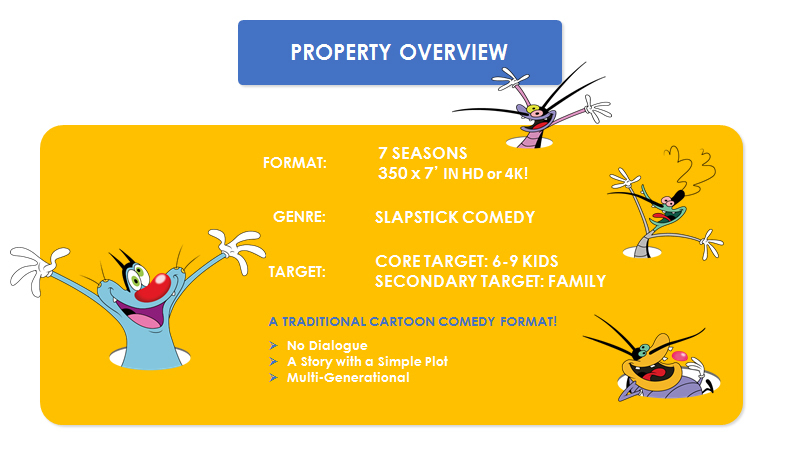 are trademarks of Xilam Animation and are used under license.